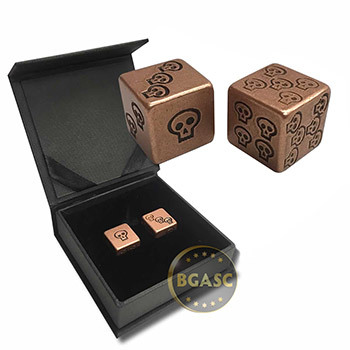 This pair of handcrafted solid copper gaming dice (Skull Design) from The Copper Kingdom comes packaged in a custom gift/display box. 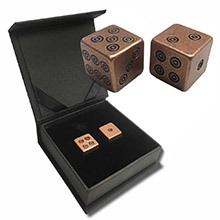 Each of these dice are handcrafted out of solid 999 pure copper. 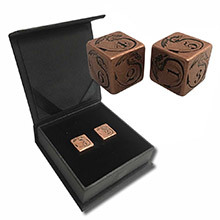 The artisans at The Copper Kingdom start off with an extruded copper piece, cut it down to size, and sand each one until it's a perfect cube with smooth edges, measuring just over 16mm. 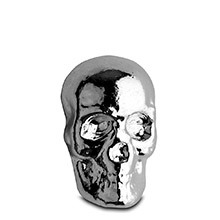 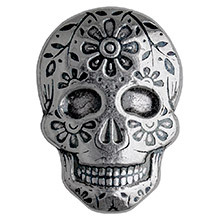 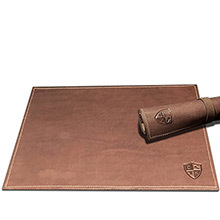 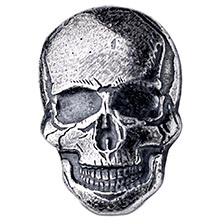 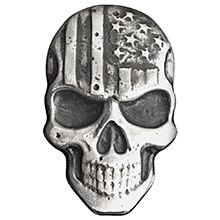 The skull design is hand stamped onto each of the 6 sides. 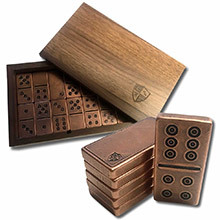 The dice is then dipped into a solution that oxidizes the copper, followed by more sanding and polishing to bring back the distinct copper luster to all the surfaces. 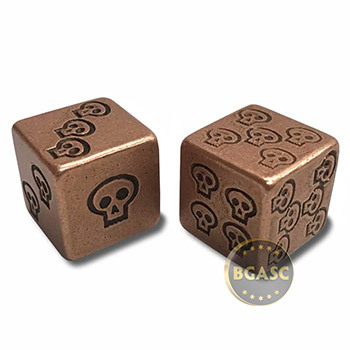 This treatment leaves just the darker look on the numbering/design parts, giving it a nice contrast and aged look. 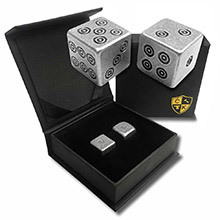 The final step is applying a thin protective coating to each dice to make sure that the look lasts as long as possible when being used. 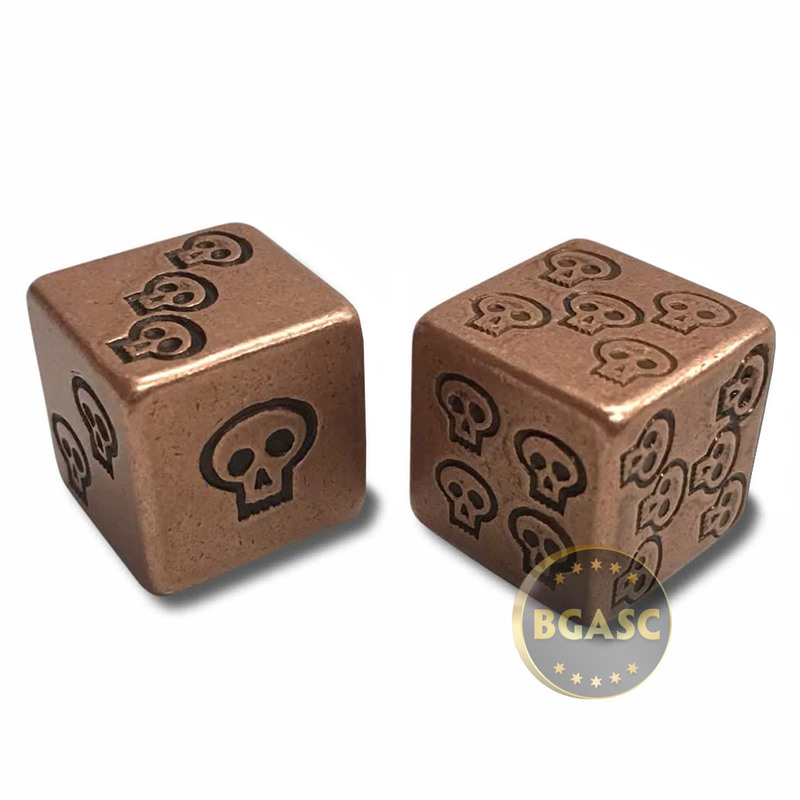 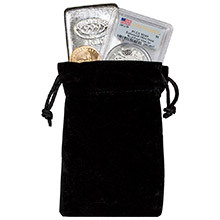 3.25" x 3.25" x 1"